Big Brother & The Holding Co are considered, along with the Grateful Dead and Jefferson Airplane, pioneers of the San Francisco Sound. They are also the band that launched the career of Janis Joplin. They recorded "Cheap Thrills," which has been voted by Rolling Stone as one of the greatest classic rock albums of all time, and which, along with their hit version of "Piece of My Heart," is in the Grammy Hall of Fame and the Library of Congress. Their energy, spirit and their story define a time when music was at the center of a cultural revolution, yet their music is still listened to and loved. 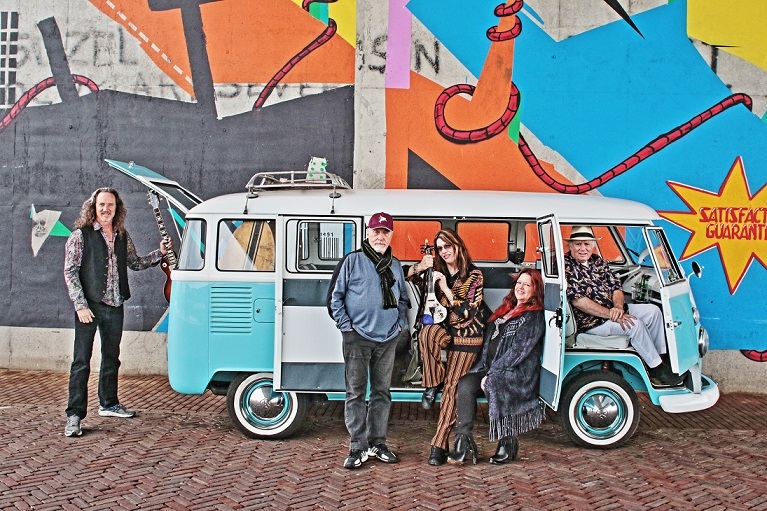 Today, original members Peter Albin (bass) and Dave Getz (drums), who have been playing together for 53 years, continue to bring their original music, which they created with the great and legendary Janis Joplin, to audiences all over the world. With the incredible singer Sophia Ramos, Virtuoso musicians Tom Finch on guitar and Kate Thompson on violin and keyboards, they recreate the songs, the energy, the spirit and the fun that continues to prove they are a band that is still great today and whose music is classic and timeless.